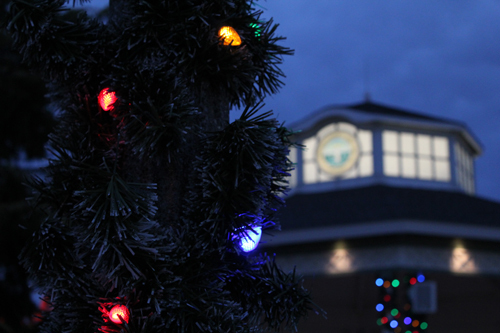 The official kickoff to the 2017 holiday season will be the City of Rehoboth Beach’s Tree Lighting and Sing-Along at the Bandstand on Friday, November 24, from 6:30-7 pm. This year’s tree has been generously donated by Bill Graff and Jeff Schuck. Partially sponsored by WSFS, the sing-along will be hosted by Clear Space Theatre and officially illuminate the city’s most famous tree at 7pm. Song lyrics for the sing-along will be available to Cape Gazette subscribers in the ‘Tis the Season holiday guide insert coming out on November 21 and newsstands November 24. Everyone is invited to this cherished annual tradition where thousands of spectators gather to ring in the holiday spirit in downtown Rehoboth Beach. Come early and stay late. After the tree is lit, enjoy dinner with your friends and family and do your holiday shopping downtown!